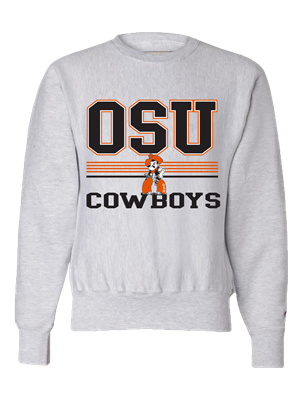 This cozy sweatshirt is a cold weather staple! Screen printed design features OSU Cowboys with Pistol Pete in the center. Champion Reverse Weave 12 oz sweatshirt.